Race wins have been somehwat elusive for Ergin Imre’s team on the 52 Super Series circuit this season. 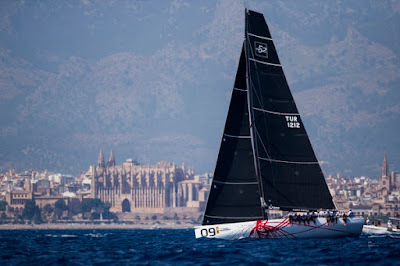 The crew which has British Olympian Andy Beadsworth on the helm, American Tony Rey calling tactics and ace Palma based Nacho Postigo pushing the buttons on the navigator’s computer, had proven their potential in Valencia and Porto Cervo. To date their best scores have been two second places in the season’s curtain raiser in Spain’s America’s Cup city and their fourth overall in Sardinia contained a second in the 31 miles coastal race and a couple of thirds. 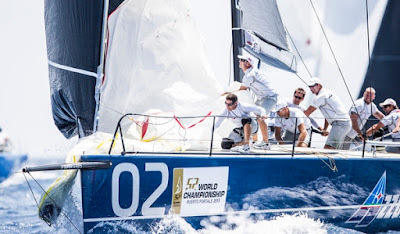 With two back to back wins today on the Bay of Palma at the TP52 World Championships Peurto Portals, the Provezza team have elevated themselves to second overall and chasing hard behind the championship leaders Azzurra who posted a second and third to sit five points clear at the top. The recipe for Provezza’s success in the first race was the Bay of Palma staple. Win the pin, go fast to the left and enjoy a progressive lift on port tack. But although that worked out well for them so too the right paid and they came to the top mark bow to bow with Phoenix and Ran Racing which had worked hard right. 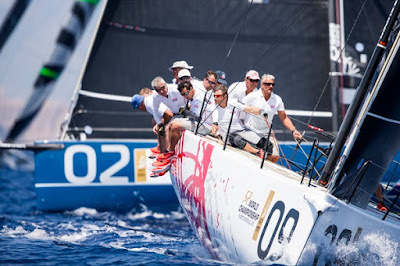 Second time was not even as straightforward as that but Provezza escaped a scrabble of boats at the top mark first time up to lead away downwind. On the second upwind they built their cushion, keeping the tussle between Azzurra and Bronenosec in their rear view mirrors. But in the end both wins were conclusive. According to tactician Rey their success today is down to small incremental improvements and going the right way. But no other boat this season has won two races on the same day. 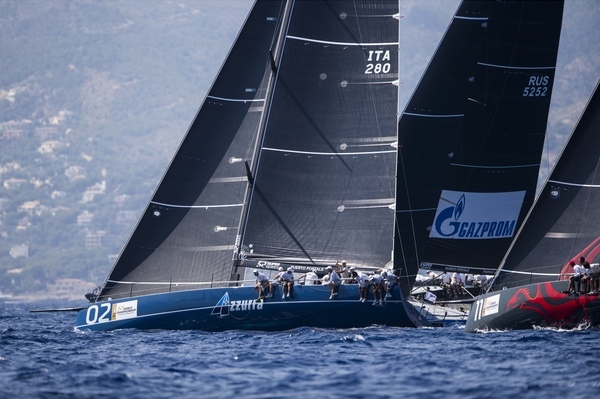 Azzurra and Bronenosec have won successive races but on different days, while Provezza carved themselves out a memorable red letter day, Rey later admitted that he got the crew together for a quick photo with the fleet behind them at the second finish line. “This is the most competitive fleet in the world and I just said let’s get a picture because I never quite know when I will win a race again, so let’s enjoy the moment,” Rey said. 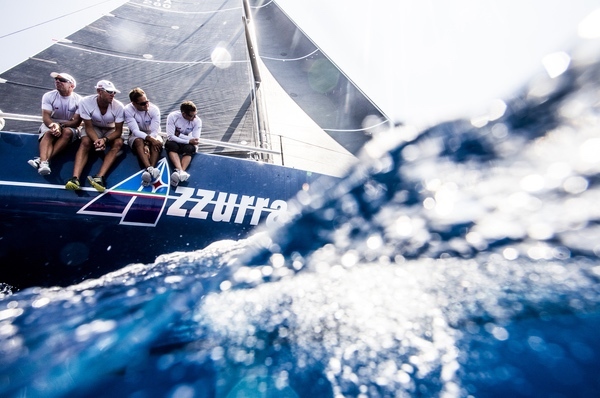 Meanwhile Azzurra have stayed on message with consistency ahead of brilliance. 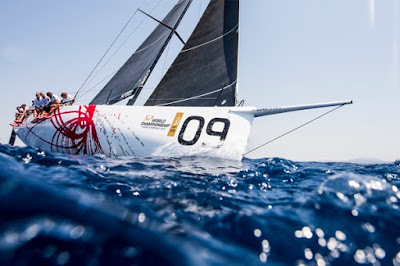 Guillermo Parada and the Yacht Club Costa Smeralda team have started well and sailed cleanly and relatively conservatively once they have gotten themselves well positioned on the first beat. “You see there are plenty of up and downs. Yesterday it was the day of Platoon and today it was Provezza. I am happy that every day is the day of somebody, as long as they are each different. 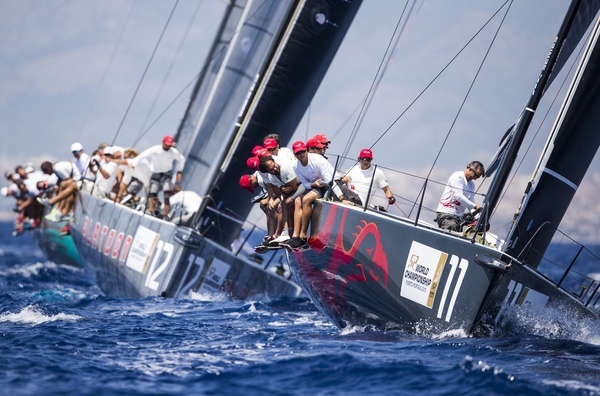 We always try to stay close to the top boats,” said tactician Vasco Vascotto. After the up day on Tuesday when they came ashore regatta leaders, it was a down day for Platoon who finished a distant 12th in the second race to drop to fourth overall. 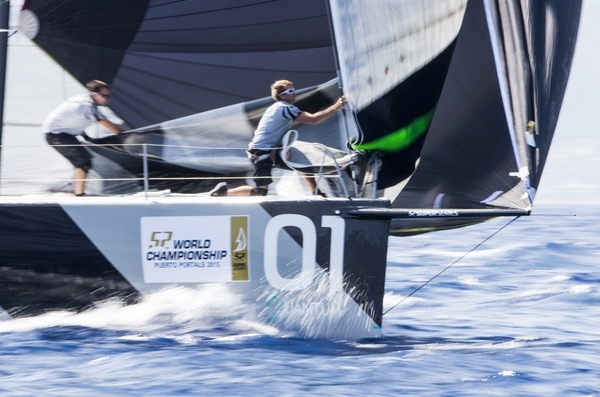 Sled who had been second after Day 1 went 12,7 to drop to seventh and Quantum Racing, the world champions, slid from seventh overall to ninth. ”It was a spectacular day for us. You know it is a funny old sport. It is all about small increments and a few things fell our way today and obviously when you have a day like today, you want to bottle it, write it all down and remember it and do it all again tomorrow. 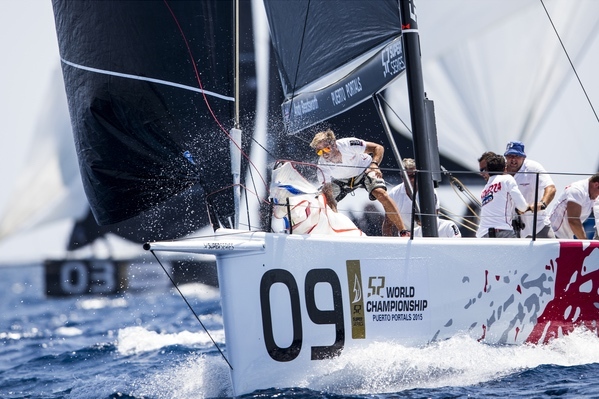 That is what we hope is going to happen, but hey this is the toughest fleet in the world, we are just happy to give Ergin the wins today and looking forward to doing it all again tomorrow,” Rey added.